Florida serves as a freight gateway to the nation. Goods produced in the United States are exported to other countries through Florida roads, ports, rail lines, and airports. Conversely, this freight infrastructure serves to transport products imported from other nations to be distributed in Florida and other parts of the country. 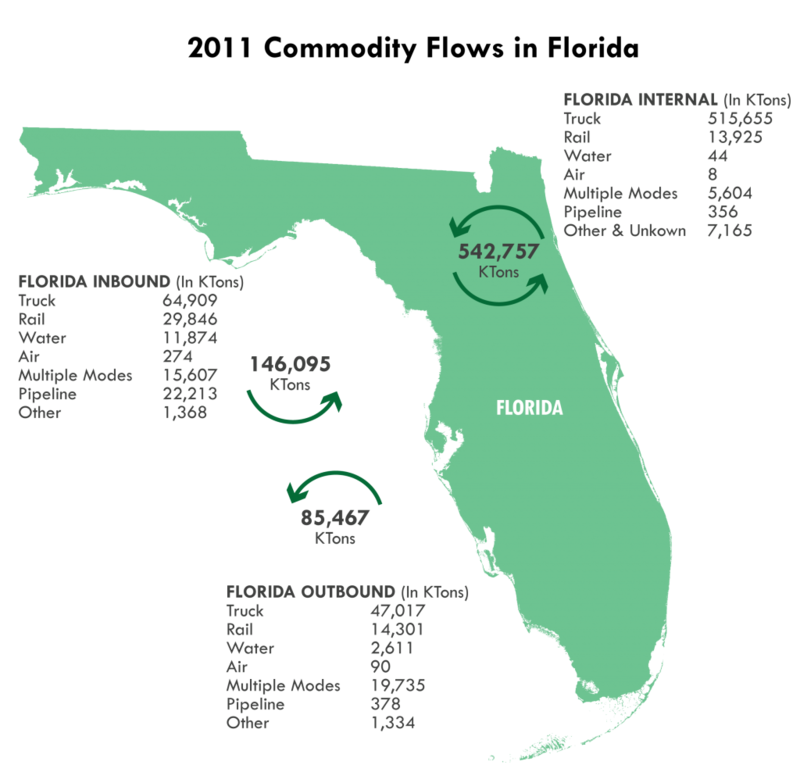 In 2011, Florida moved approximately 775 million tons of freight to, from, and within its borders. In 2040, Florida will move an anticipated 3.2 billion freight tons generating greater economic activity within the state. Florida is poised to take advantage of the growing international trade with Central and South America as well as with Asia and Europe. Florida is positioned to be the gateway to Cuba if friendly relations resume. In the shorter term, the planned opening of an expanded Panama Canal in 2015 has the potential to realign global trade flows and strengthen Florida and eastern seaboard ports in their competition with Pacific coast ports to capture a greater share of Asia’s commerce with the eastern United States and Canada. The widened canal will also enhance connections with Florida’s existing trading partners along the western coast of South America. To remain competitive in emerging and expanding global business markets, investments in Florida’s freight infrastructure are critical. In 2011, the Florida Department of Transportation (FDOT) created the Office of Freight, Logistics and Passenger Operations in recognition of the significant role that freight mobility has on Florida’s economic prosperity. The office plays a prominent role in advancing Florida’s trade, logistics, and export-oriented manufacturing activities nationally and globally. Working in conjunction with the Office of State Transportation Development in the development and planning of the Strategic Intermodal System, the freight office oversees a freight planning process that integrates transportation modes and maximizes the use of existing facilities. 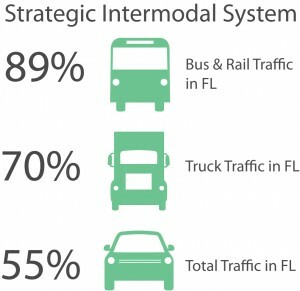 Florida’s Strategic Intermodal System (SIS) is a network of critical transportation facilities and services supporting statewide and interregional movement of people and goods. The SIS encompasses all modes of transport and includes linkages between modes and facilities to provide a single, integrated transportation network. The SIS was established to enhance Florida’s overall economic competitiveness by serving the mobility needs of residents, visitors, and businesses, handling almost all of the state’s air and maritime passengers and cargo and freight rail activity.